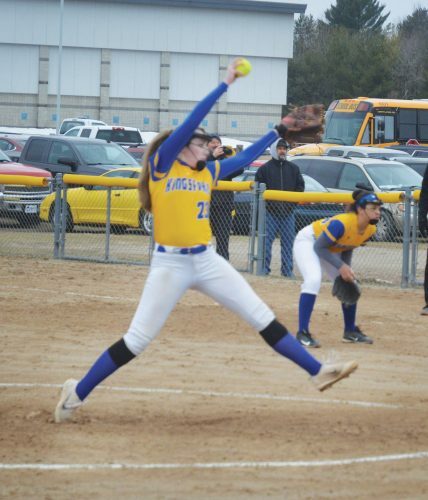 FLORENCE, Wis. — Florence High School’s athletes of the year are team leaders and versatile sophomores. 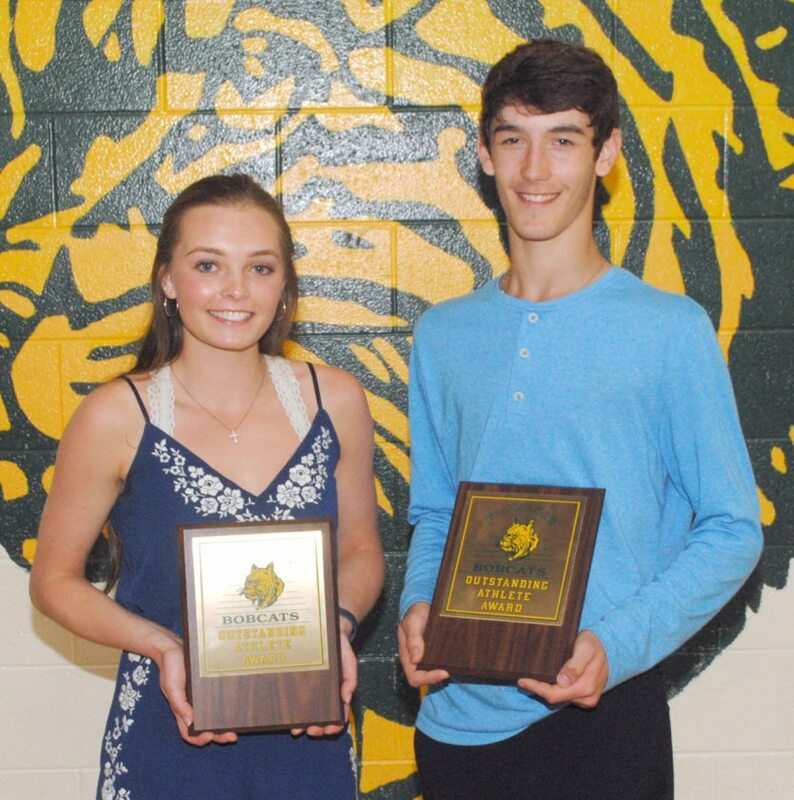 Jenna Springer received the Ginny Ehrenreich Memorial for the top female athlete and Kaden Schuls accepted the David Wenzel Memorial for the premier male athletes. Only three-sport athletes are eligible, with coaches voting on the honors. During Wednesday’s 49th annual Florence High School Athletic Awards Ceremony, Springer was named the most outstanding player on the girls basketball team and softball’s top defensive player. She also stood out as a server and back-row performer for the Bobcats’ volleyball sectional finalist team. Volleyball coach Joan Canfield cited Springer’s work ethic. “Jenna has worked extremely hard proving herself to be an excellent varsity player,” Canfield said. Schuls was the baseball team’s most outstanding player along with playing key roles for the boys basketball and football programs. 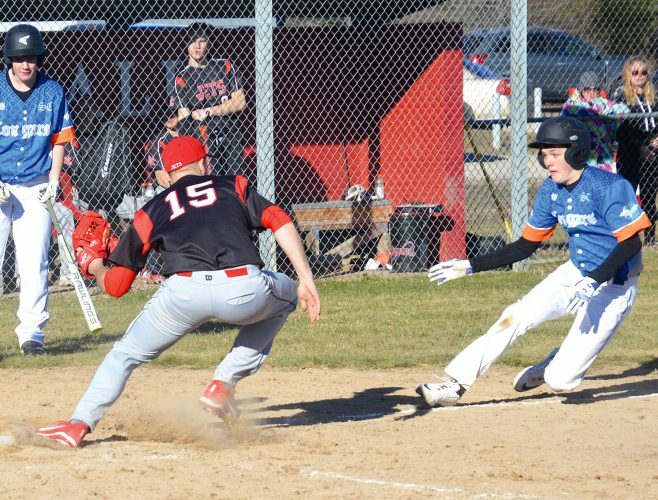 “Kaden is an extra-effort athlete,” said baseball coach Dave LaPoint, adding that Schuls can play anywhere. “Kaden is always trying to improve some facet of his game,” Bomberg said of the multi-dimensional player. Shayla McLain and Alicia Gehlhoff also collected several major honors. McLain took home the Florence Athletic Booster Club Scholarship and Marine Corps Distinguished Athlete Award along with MVP of the girls track program. Gehlhoff was the recipient of the K. Casey Constantini Memorial and Florence Athletic Booster Club scholarships plus volleyball’s team spirit award. Tommy Podnar, Gehlhoff and McLain were Florence’s only four-year scholar athletes. Also during the program, new head girls basketball coach Brad Perry presented junior varsity and varsity awards. Perry’s Florence junior varsity team finished 15-4 overall and 8-2 in the Northern Lakes Conference last season.